Happy Happy New Year! 2018 is before us, fresh, clean, and full of promise. My New Year’s resolution (and I hope yours) will be to chase political dirty money out of our state! Every election, millions of dirty dollars flood Arizona from powerful people and corporations trying to buy our government. They operate in secret, hiding behind legal barriers to keep us from knowing who they are. The Dirty Money forces have damaged Arizona, weakening our public schools, degrading our environment, and driving up the cost of services. Let’s make 2018 the year that we secure our right to know who is funding these campaigns. Let’s put our Outlaw Dirty Money Constitutional Amendment on the ballot and pass it in November. No question that’s a big job. It takes almost 300,000 Arizona voter signatures by June just to get on the ballot. 2018 is our chance to end political money laundering by signing up here. With this fresh, new year, cleaning up our state begins in earnest. Our volunteer effort to Outlaw Dirty Money is off to a great start. Many have already volunteered to collect petition signatures, to check those signatures, or talk with their friends about Dirty Money and ask them to help. 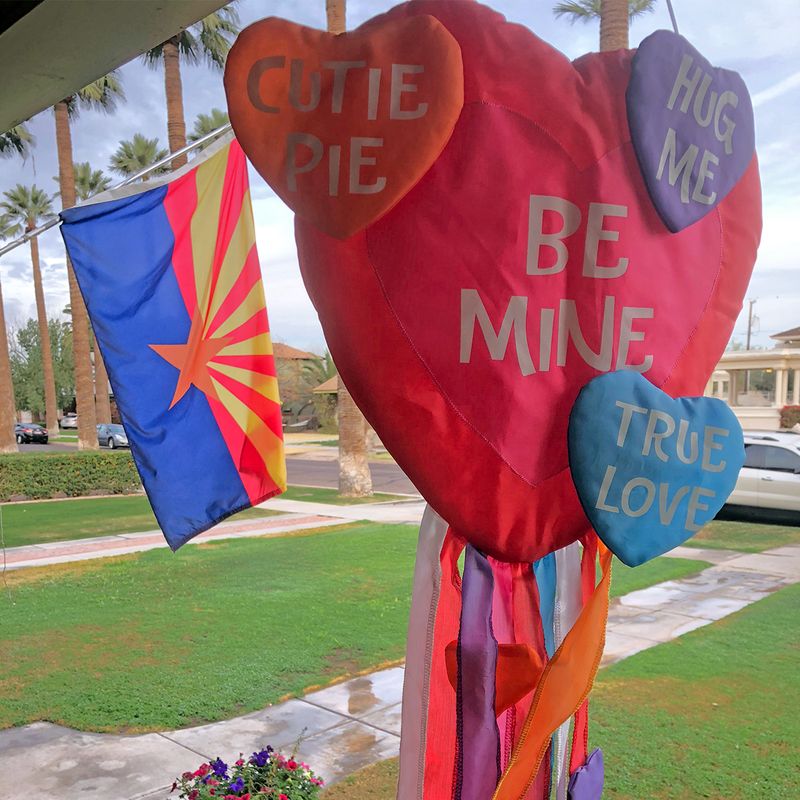 I hope your New Year’s Day and the year ahead are filled with joy and the satisfaction of chasing political dirty money out of Arizona. Join us in the fight to Outlaw Dirty Money. Together, that’s exactly what we’ll do! 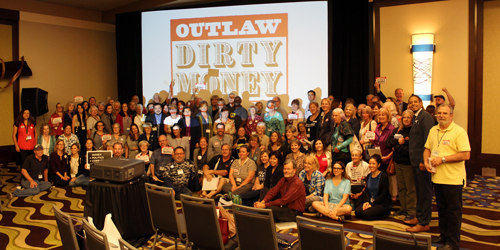 As we wrote recently, before we launch the huge task of gathering thousands of signatures, we want to be as sure as possible that we got the Outlaw Dirty Money proposition right. The dirty money forces will attack every misplaced comma. Therefore, we want the maximum possible number of critical eyes to view the Outlaw Dirty Money text before it is filed. Once we file with the Secretary of State, the text cannot be changed. You will see right away that this Initiative Measure is a petition to amend the Arizona Constitution. It will require a minimum of 225,963 valid signatures of Arizona voters! Outlawing Dirty Money is so important, and the majority in the Legislature and most state officials are so hopelessly committed to protecting Dirty Money, that we decided the extra effort was needed. Let’s put this into our Constitution, where they cannot fiddle with it! My sincere apologies for going so long without communicating. Rest assured there has been a lot going on. Over the summer, we have been working hard on a new effort to stop Dirty Money in Arizona. A lot of time and effort has gone into research and drafting the new initiative and on getting a campaign apparatus ready to circulate petitions. We are particularly fortunate that the Save Our Schools (SOS) petition drive engaged so many quality volunteers so effectively. Their success is not just an inspiration, but many SOS leaders and actives understand how dirty money is threatening public education and are ready to help. On the campaign messaging side, you probably noticed I used the term “Dirty Money” instead of “Dark Money.” The reason is simple: The amount of anonymous campaign funding by individuals and groups trying to influence our elections has exploded. This type of spending isn’t occasional anymore – it is the rule and growing, with campaign methods that are, well, just dirty. Yesterday, we had a spectacular response from the activists attending the ‘We The People Summit’. They were ready to hit the streets with petitions that afternoon! But, we have one important step before that can happen. Before we commit to the huge task of gathering thousands of signatures, we want to be as sure as possible that we got it right. The next time you hear from me will be very soon with a draft of the initiative to look over. I hope you will help by providing your input.